Clever and cool, this acrylic backpack beverage dispenser serves up shots, your favorite brew, or delicious tailgate kool-aid in a style that’s no-nonsense. With a lightweight nylon design, fully padded shoulder straps, two 24” gravity-fed hand taps, a whopping 210-ounce capacity, and a mesh bag for holding those extra cups, this backpack drink dispenser ensures you stay completely comfortable as you become the most popular person in a party-mile radius. 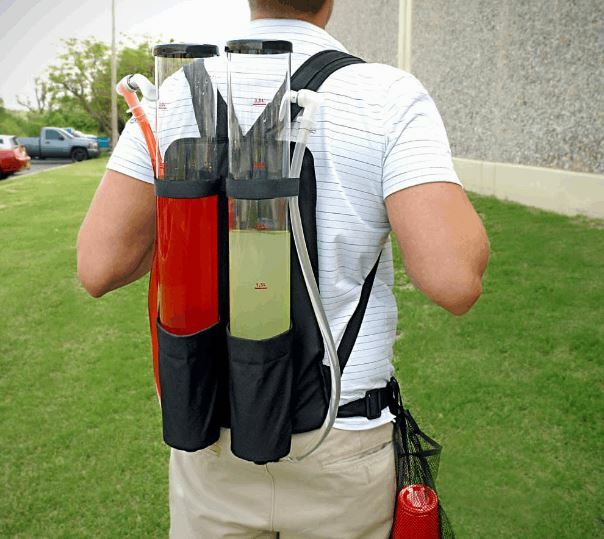 The backpack drink dispenser measures 25½”x12”x4”.